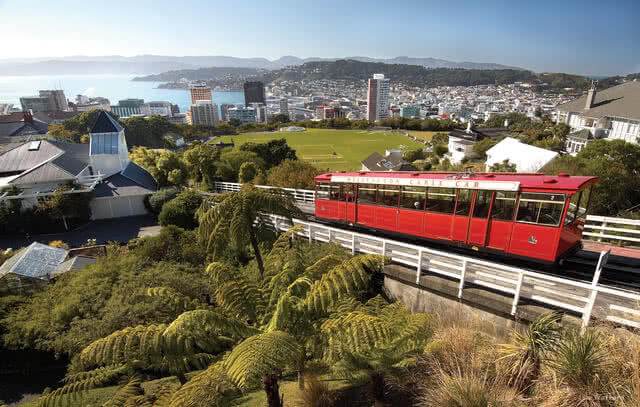 Welcome to Wellington, New Zealand’s capital city located on the North Island. Whatever your travel plans, you’re not going to be sticking around too long on the North Island as this 4 day adventure whizzes you down to Christchurch in the South Island in a flash. We have pulled together a quick itinerary of our favourite things to do between Wellington and Christchurch so we hope this helps with your planning. If you’re all set, let’s GO! It might be small but New Zealand’s cool capital is jam-packed with things to do and places to see. Once you’ve picked up your GO Rentals car, there’s no hurry to leave so take your first day to explore this diverse and multicultural city. Now that you’ve explored New Zealand’s capital, it’s time to drive to the ferry terminal and catch the Interislander ferry. Wave goodbye to the North Island as your journey continues to the spectacular south. For those adventurous souls out there who love nothing more than strapping on a pair of hiking boots and heading off into the unknown, the Queen Charlotte Track offers you the perfect opportunity to explore rural New Zealand. Dominated by a bush-clad shoreline, the track takes you on an amazing journey through the Marlborough Sounds and the 70kms of track will energise even the most active. For those of a less active disposition, the Sounds are famous for the greenshell mussels which are found in abundance so why not treat yourself to a fantastic lunch. Marlborough is a world famous wine region and it would be rude not to sample some of the local delights on your way through. There are plenty of wineries who will gladly take you through their wide range of vinos from a fruity pinot noir to the flagship wine of the region, Sauvignon Blanc. There are some famous vineyards down here like Cloudy Bay but we recommend sampling some of the more boutique wineries – a great way to get around is on a bike although be careful if you have a few vinos on the way as you may get a bit wobbly! Wine tour by bike offer bike hire or guided tours which helps as they will transport you back to Blenheim. Heading away from Blenheim, take the road south heading towards Christchurch. 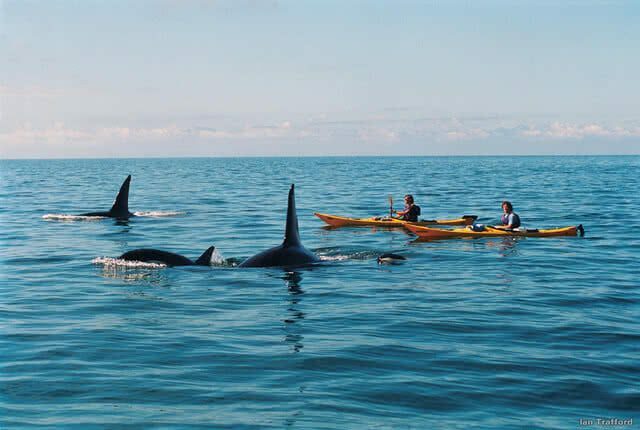 A great stop off on the way is Kaikoura which is a whale watchers delight. Not only that, this is a great opportunity for you to take a dip and swim with the dolphins at the right time of the year – this must be on a few wish lists so let’s get it ticked off! After an awesome day road tripping down from Picton, a day in Hanmer is just what the doctor ordered. Surrounded by the beautiful Southern Alps with crisp alpine air, relax and unwind in the award-winning thermal pools or simply enjoy the peace and tranquillity of Hanmer Village and surrounding areas. The thermal pools and spa complex in Hanmer has been soothing peoples’ aches and pains away for the best part of 125 years and all those who have been before you can’t be wrong! Relax in one of 15 open air pools or try out one of the 3 aquatherapy pools. Families and children are catered for too since a recent redevelopment has added three waterslides and a lazy river to keep even the liveliest of kids entertained. If getting crinkly is not your thing, there are plenty of other attractions in Hanmer and one of the best is the Wai Ariki Farm Park. Offering a hands-on experience, Wai Ariki is home to some weird and wonderful animals which are sure to keep kids and adults amused for the morning. The Tibetan Yak are a particular favourite! After a couple of days off the beaten track exploring the Abel Tasman and Marlborough Sounds, we know some of you will be missing the shops and Hanmer is just the place to see to your needs. With a fantastic range of boutique outlets including the quirky ‘Up the Garden Path’ and ‘Wink’, we’re sure you’ll find the retail therapy as relaxing as a trip to the thermal pools. If you’ve not managed to sample the delights of one of New Zealand’s favourite beers, fear not! Although it may not offer the full brewery tour experience, The Monteith’s brew pub in Hanmer is certainly a great place to go and try your favourite Monteith’s ale and relax and unwind. Situated right in the heart of the town, there is a great vibe to match the great beer so whatever you have been up to during the day, this is a great place to end your night. Our top tip is the Monteith’s Southern Pale Ale. When in Rome as they say! 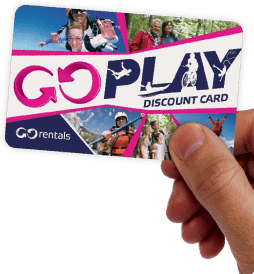 After a lovely day relaxing in Hanmer, you’ll be ready to reacquaint yourself with your GO Rentals dream machine and a short-ish journey awaits you to the South Island’s largest city – Christchurch. 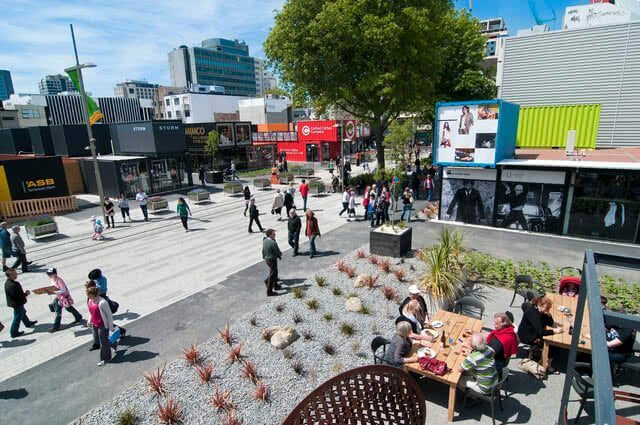 Christchurch was named as number 2 on the New York Times top 52 places to visit in 2014 and there are plenty of reasons for that. Following the earthquakes of 2010-11 the city has now emerged as a vibrant city with plenty to see and do. Known as the Garden City, Christchurch has an abundance of parks and gardens including the gorgeous botanical gardens. Add in to this mix the tranquil Avon River and you can see why people rave so much about the city.